The Clark Academy of Irish Dance gets three "Yes" votes on "America's Got Talent"
Fifteen talented Irish dancers from The Clark Academy of Irish Dance competed as a group on the Tuesday, May 28th edition of America's Got Talent Season 7. The dancers - Carlee Miller, Brooke Reimann, Francine and Katie Jane Lawler, Abby and Jake Sieve, Briley Mastis, Ellie and Maggie Gannon, Olivia Smugala, Colleen Crutsinger, Julie Brennan, Erin Tilley, Isabel Kaiser and Kate Hermann - delighted the audience and the judges with their big smiles, gorgeous costumes and lively hard-shoe dancing. Sharon Osbourne, one of the three judges, was especially enchanted with 5 year-old Katie Jane Lawler, whose finishing touch to the performance was compared to an "Angelina Jolie" move by judge Howie Mandell. 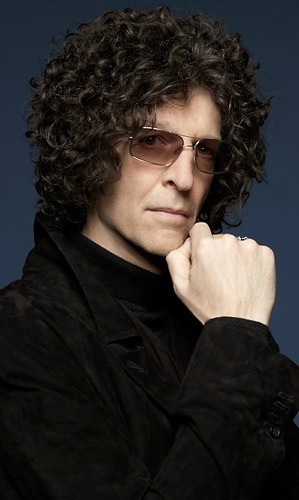 Howard Stern, not to be upstaged, accused the girls of stealing his hairstyle - curly wigs are a traditional part of the competitive Irish dancing costume. 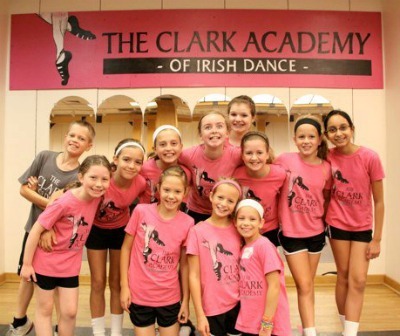 The Clark Academy of Irish Dance team makes the second Irish dancing group to make it to the televised show in Season 7. The New York Irish Dance Company, comprised of competitive and retired Irish dancers from Metropolitan New York from several Irish dance schools - appeared last week to great accolades and a YES vote from Howie Mandell. Three YES votes from the judges means The Clark Academy Irish dancers are headed to Las Vegas, Nevada for the next stage in America's Got Talent! Good luck!